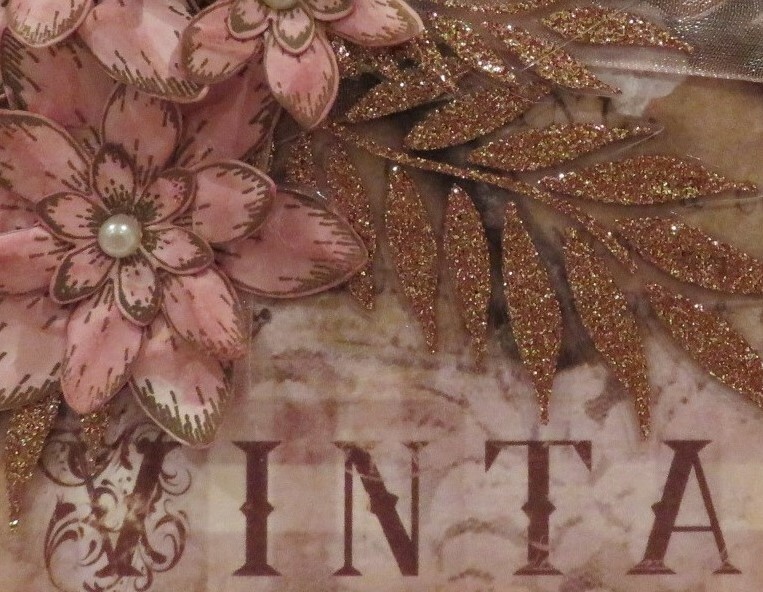 Last week I used some Rice Paper as a backing paper on some MDF, so this week I thought I would use some as a backing paper on some card, building up layers and adding more treasures from my stash to bring it all to life. Using the Rice Paper Pattern 448 with Magi-Bond Decoupage Glue, I covered my card topper with the section of paper that I wanted to use. I saved the rest for another project. Once dry, I inked the edges of the paper with some Vintage Photo Distress Ink to bring the eye in. 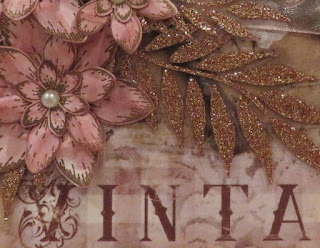 I also fixed some ribbon from my stash onto the card to add some different texture (in the photo below I tried one option with tying the ribbon, but I went with another idea in the end, as I did not want to obscure the words). I then water-coloured the petals with Spun Sugar and Worn Lipstick Distress Ink. Whilst they were still wet, I shaped and scrunched the flowers up. Once I had cut my leaves all out, I fiddled about (as you do) and came up with my final arrangement. I hope you like my finished card, I think it turned out well in the end! The Rice Papers really do most of the work for you, it is up to you how much you want to add to them!